1. Heat oil in a large saucepan over medium-high heat. Sauté onion for 2 minutes or until translucent. Add garlic and ginger and cook for 1-2 minutes until aromatic. Add the mussels and cook, stirring for about 2 minutes. 2. Add the stock, pepper and fish sauce and bring to a boil stirring occasionally. 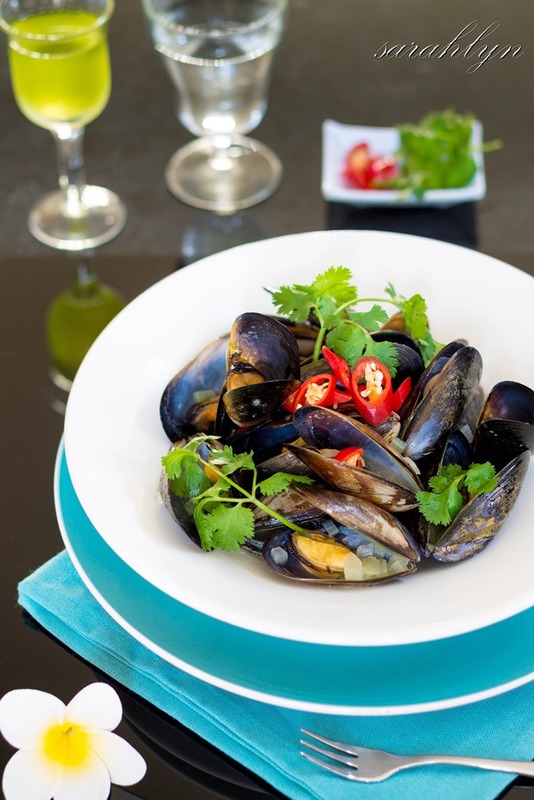 Simmer and cover with lid for 2-3 minutes or until the mussels begin to open (do not overcook the mussels). Add more stock or water if necessary. Taste and adjust the seasoning with salt. Remove from heat. 3. Transfer to a large serving bowl. Garnish with chilli and coriander. Serve with steamed rice or bread. My dad used to cook this for us in the Philippines. I couldn’t resist recreating his dish.